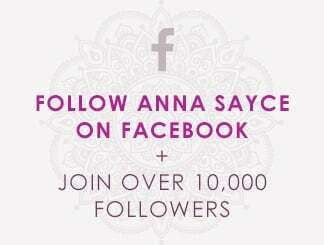 Delving into the intriguing world of psychic development is life changing and feels very empowering. It is comforting to know that you are able to receive guidance from your spirit team and that you’re not alone on your life’s journey. Once you’re on the psychic development path it’s natural to then want to use your newly cultivated skills and insight to help others. Similarly, once friends, family, work colleagues (etc) learn about your new skills, there’s often a curiosity and desire from them to let you work your magic on them. So more often than not (although you may be nervous doing it at first) offering readings to others is in the cards. Giving a great reading is a beautiful way to help people and can be extremely comforting for those who are struggling in some way or have questions about their life. The stronger your clairs, (clairvoyance, clairsentience etc) the more capacity you have to receive information from Spirit; but regardless of your skill level, there are some simple things you can do that will really help you provide an accurate and compassionate reading. 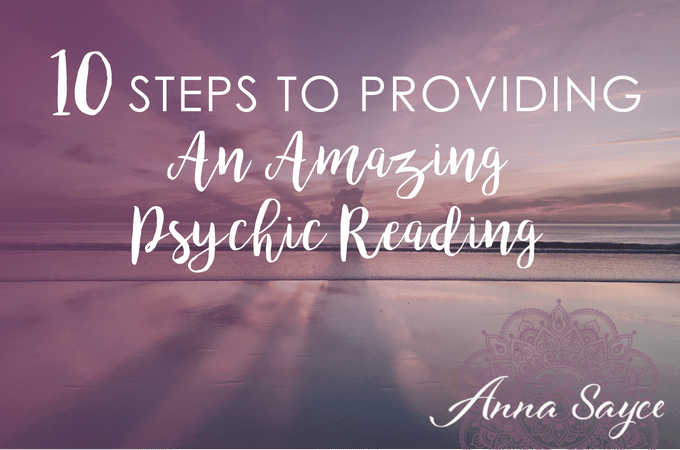 Once you start diving into this, you’ll discover that there is lot more to facilitating a psychic reading than just having psychic gifts. Trying to tell the difference between the messages coming through from Spirit and your own mind – Giving clear messages without the mind distorting the information is always challenging. We need our minds to help us to understand the information that is coming through, but it is easy for us to twist it, and that can impact your reading’s accuracy. 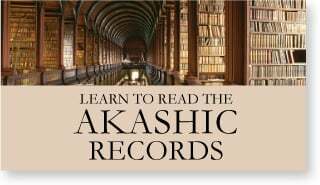 The person receiving the reading is fearful – The recipient may have never had a psychic reading before… They may be scared of hearing confronting news… They also may have had a bad experience with a psychic in the past. 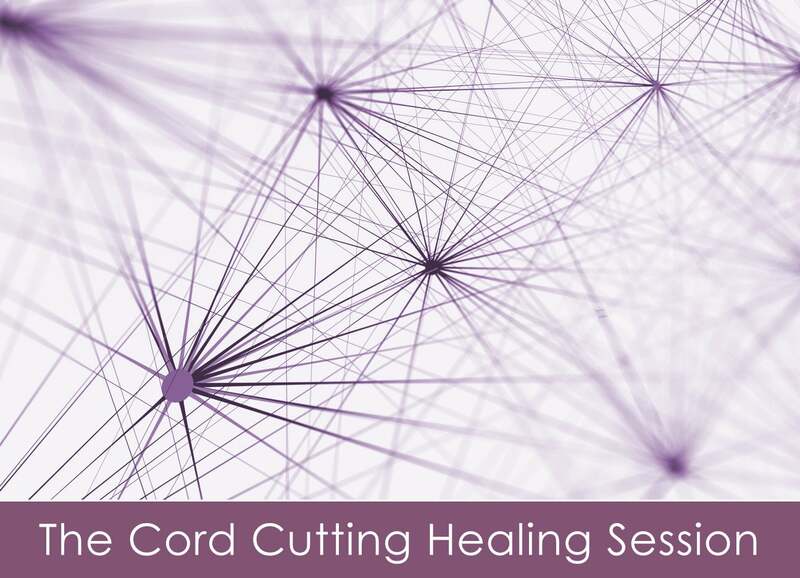 Issues like these can create an energetic wall, which makes it difficult to receive psychic information for the client – it can feel like they are blocked. Spirit is making things challenging for you – You can be on a roll delivering information and then a person in spirit wants to chat and takes you off on a tangent and you lose your train of thought. Or it could be that you are bombarded with so much information all at once that you can’t remember it all. 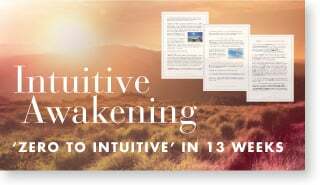 Overcoming ingrained beliefs – Sometimes our reading recipients have very strong beliefs about certain subjects and are reluctant to hear a different point of view…or perhaps it’s painful for them to hear something that sits in their ‘blindspot’ so they’d never previously given it much thought. The more open the recipient’s mind is to the possibility of hearing anything, the smoother the reading will go. Communication issues – There is a whole range of general communication issues that can come into play while delivering a reading. Things like language differences/barriers or misinterpretation of the information being provided are not uncommon. Communicating with others can be challenging in day to day life at times…Throwing in the extra element of trying to channel information at the same time can sometimes lead to confusion of the message and/or a disjointed conversation. 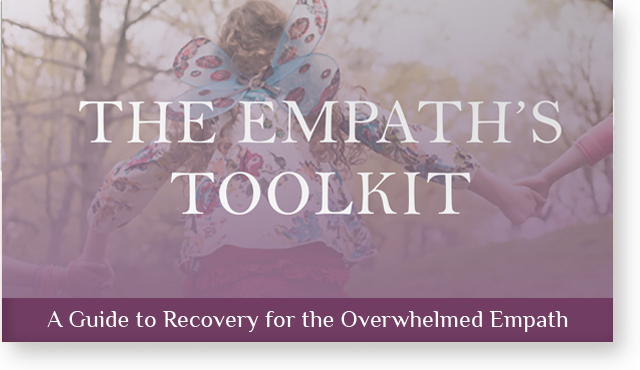 The challenges are real, and it can seem a little overwhelming at first, but there a lot of things you can do to help improve your connection with Spirit and overcome the inevitable bumps on the road that we all experience from time to time! The practical stuff – Prepare yourself days before the reading by ensuring you are going to be well rested and as healthy as possible. Avoid alcohol on the day and the night before; whereas it is so important to drink a lot of water in the hours leading up to the reading so you are very hydrated. Channelling psychic information is very dehydrating and can leave you with a headache if you don’t have enough water on board. It can often help if you only eat a small meal before the reading, as it’s hard to get clairsentient (clear feeling) messages with a big steak in your belly. 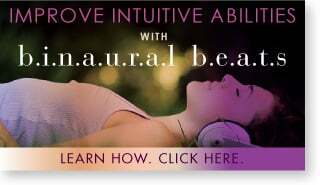 Raise your vibration – You want to aim to be in the best mood possible prior to the reading to help raise your vibration. You can do things like dancing, being silly, singing a song, or listening to uplifting music. Do your best to remain in this state while you’re doing the reading – probably without the dancing and singing though! Keep your spirits high to keep connected with Spirit! Connect – Spend the first few minutes of the reading building rapport with the recipient. Joke around if it’s natural for you, and it’s very important to make them feel safe so they know they can trust you. Talk about any apprehension or ingrained beliefs they may have regarding a psychic reading, and work through those with them to try and overcome any emotional wall they may have built for protection. Allow Spirit to be in charge – This can take a lot of practice but try your best to let go and not control the reading. You’ll find the more you try to manipulate the reading, the clunkier it will feel. Spirit/your guides know best – they know what is needed in that exact moment, so hand over control to them, clear your mind and allow the magic to happen. Avoid overanalysing – Try not to interpret the information you receive too much. If (using your clairvoyance) you see a horse running in a field and the symbol of horses usually means freedom to you, don’t assume it means freedom in this instance. You could frame it to the recipient in this way – “I can see a horse running in a field, to me horses usually mean freedom.” Then the recipient has an opportunity to think about what it means to them. It may mean freedom but it may also simply mean that they need to start riding their horse again. Especially when you’re starting out – try to deliver the information as you receive it. Avoid self-doubt – Don’t be disappointed if the reading recipient can’t take the information you provide – it can get you out of the flow of the reading if self-doubt starts to creep in. Just try to deliver the information to the best of your ability, and then move on. Quite often it takes some reflection by the recipient to fully understand the significance of information they’re provided, or perhaps the event just hasn’t occurred yet. Trust in the process and trust in Spirit, and just do your best. Use discretion – Be gentle with the information you provide. It takes a lot of courage to get a psychic reading and quite often the recipient is feeling vulnerable or possibly overwhelmed. Just because you get a message from Spirit doesn’t mean you always need to pass it on. Part of providing a life changing reading is using your discretion. For example, you hear with your clairaudience that the recipient is in danger of being in a car accident from speeding – this is a message that (if delivered bluntly) could possibly cause them panic or a level of paranoia. It’s still an important message, so you could instead soften it, such as by saying “This is a great time to exercise extra patience when driving your car. 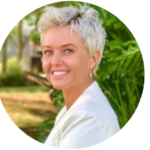 Leave plenty of time when you’re travelling somewhere so you don’t have to rush or speed.” It is a balancing act between providing accurate information and empowering the recipient. 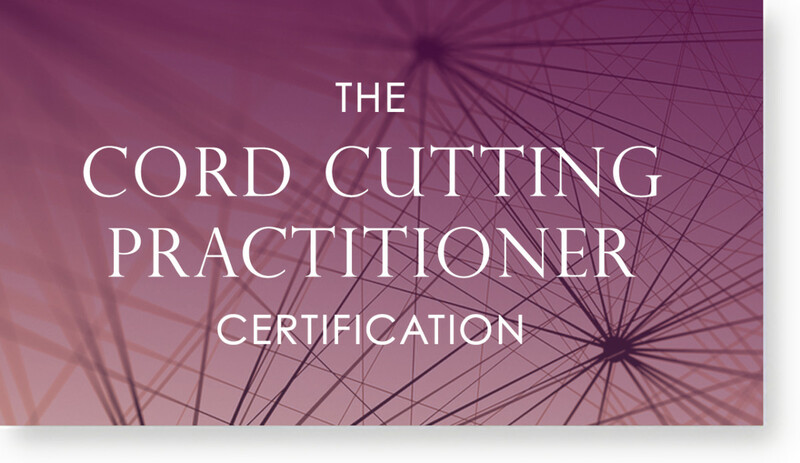 Hone your craft – Keep working on your psychic development. This is something you can keep improving upon your entire life. The better your skills are the more resources Spirit has to give you the information you seek, and the easier your readings will get. So, do courses, practice daily, meditate, and do what’s needed and available to you to maintain and upgrade your skills. 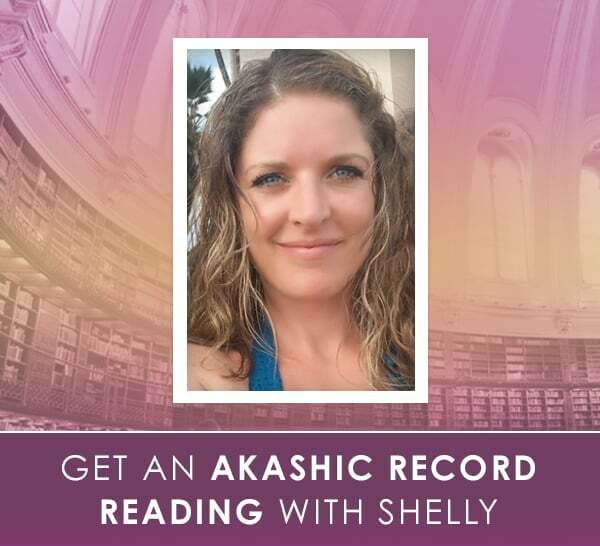 Post-reading cleanse – Cleanse yourself energetically after the reading. This is an important step to ensure you’re not carrying around other people’s energy. 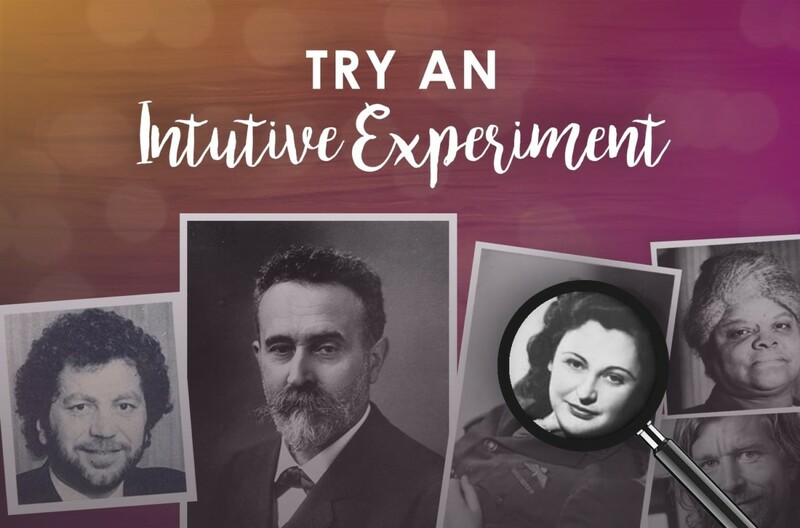 Learn how to cut psychic ties, visualise your energy body being cleansed with divine light, have a salt bath, whatever you resonate with – and importantly, do it after every reading. If you’re still thinking about the person hours after the reading, it means you haven’t disconnected from them entirely, so repeat your cleansing ritual. Over time you will build a relationship with your spirit team. They’ll get to know the best way to work with you, to ensure you’re provided with all the information you need to do this work. 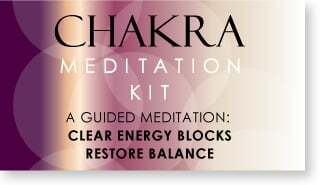 This, along with ongoing self-development work can really help you understand yourself, the way your mind works, and the way you receive information from Spirit. Providing helpful and accurate readings does take a lot of practice, but you will see massive improvements with every one that you do. It is an amazing gift to be able to help other people with answers and general clarity, and as long as you are ethical and try your best, the spirit world will be happy to work with you, and your psychic abilities will soar. What challenges have you experienced when you’ve provided a psychic reading? I’d love to know, please leave me a comment below. Great article, very useful advice! Thanks for sharing. Thank You, I enjoyed the article and found it quite helpful! Good advice, Shar – especially #7. I have learned to trust and to “give what I get” – even if it doesn’t seem to make immediate sense to me or the person receiving the reading. The most amazing validations often come when people get back to me later about something that Spirit brought through that came true later or they suddenly remembered the significance. It takes a while to learn to trust Spirit because it means letting go of our own egos and need for immediate validation. But that’s where the magic happens!